Religious leaders are often seen by their followers not only as the custodians of good morals but also as repository of knowledge, hence, they wield a significant influence on such followers. 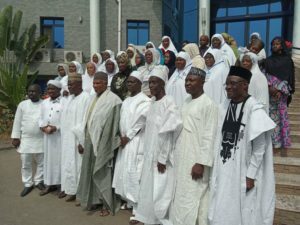 It is against this backdrop that the Acting Chairman of the Independent Corrupt Practices and Other Related Offences Commission (ICPC), Dr. Musa Usman Abubakar, has called on the leaders of various religions in Nigeria to support the fight against corruption through preaching against the vice. He made the call recently in Lokoja, Kogi State at a 2-day training workshop for Imams and Islamic Scholars which was organized by Al- Habibiya Islamic Society. The workshop was aimed at fostering a better understanding with faith-based organizations to always preach on the need for accountability and transparency among their followers in every of their endeavour. The Acting Chairman also expressed optimism that once religious leaders preach against the vices of corruption, their followers are likely to adhere because of the enormous respect they earn from their followers. Various resource persons harped on the need to live a life of piety, saying that it was a key to having a corruption free country.